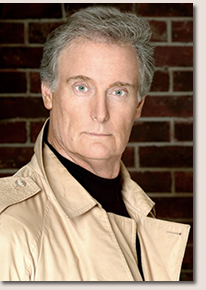 From “Alan Sewell” on The Young and the Restless »View “Y & R” video« and “Doctor Erickson” on Days Of Our Lives, Timothy O’Keefe’s varied and exciting career has led him down a star-studded trail as a television actor, singer, musical entertainer, stage performer and cruise ship headliner. O’Keefe appeared as “Foster Wolfe” with Chad Everett on ABC’s McKenna »View “McKenna” video« along with the popular UPN series, Nowhere Man. He has guest-starred in numerous television classics as Fantasy Island, Quincy, Battle Star Galactica, CHiPS, Buck Rogers, McClain’s Law, and many others. Recently, O’Keefe finished shooting The Boynton Beach Club with Sally Kellerman and Diane Cannon due out in theaters in Winter. 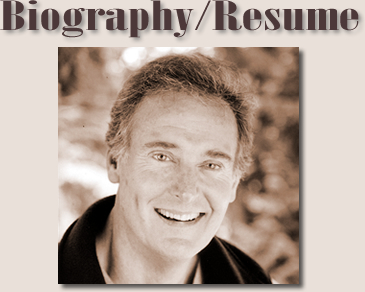 O’Keefe’s stage performances have included the roles of “Billy Bigelow” in Carousel, “Curly” in Oklahoma, “Bobby” in Stephen Sondheim’s Company, along with a string of additional dramatic roles in other award-winning plays. As a singer and entertainer, O’Keefe’s nightclub dates include Las Vegas and Reno. O’Keefe was a frequent guest on the Tonight Show with Johnny Carson and the popular Merv Griffin Show. He received rave reviews from his performances at the Mark Hopkins in San Francisco, the Coconut Grove in Los Angeles as well as the Four Seasons in Seattle. As an international recording artist with Moonstone International Records, O’Keefe was invited to represent the United States as guest-performer at festivals around the world, notably, The Castlebar Song Fest in Ireland and as the only American at the Puerto Rico Song Festival. 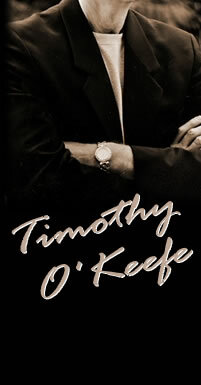 Timothy’s new CD, entitled Come Rain or Come Shine, is available at www.TimothyOKeefe.net .